Change button text of call for price based on your store products and requirements. Custom call for price form title. Option to enable call for price based on selected customer groups. Supports all default Magento product types. Support for multi store and multi-language. Specify email ID of admin to get call for price requests from customers. 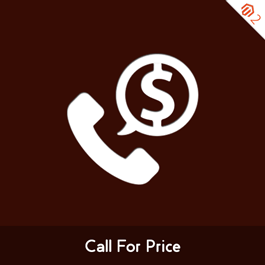 Click of call for price button opens up responsive form for customers to fill required details and ask for quote. Auto reply to customers immediately after they request for quotes. Customers’ inquiries in a separate grid in admin panel along with details like customer name, Email ID, product for which contacted, contact number and detailed message.